The Ambani house is in a celebratory mood with Mukesh Ambani and Nita Ambani’s son is all set to get married. 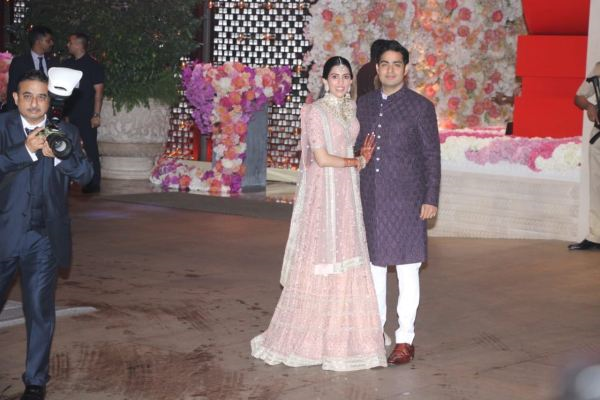 The wedding ceremonies have started where their eldest son, Akash Ambani is getting married to his schoolmate Shloka Mehta. The ready-to-get-married couple is seen enjoying their time in the pre engagement and pre pre engagement party and it is madness to see the long-fetched party. When the richest family of India is having a family event, it will no doubt become the talking point on the internet. The social media is filled with Akash Ambani’s marriage ceremonials. The groom’s mom, none other than Nita Ambani is totally stealing the show this time! Priyanka Chopra and Nick Jonas came hand-in-hand where Nick looks super dashing but Priyanka has gone a little out of trend in terms of her saree. Alia Bhatt is glowing in the chic pink Manish Malhotra Saree and we can’t stop looking at her! Karan Johar in attendance with all swag as always in a red Manish Malhotra Sherwani..
Sachin Tendulkar and Anjali Tendulkar have matched their clothes for the engagement, cute! 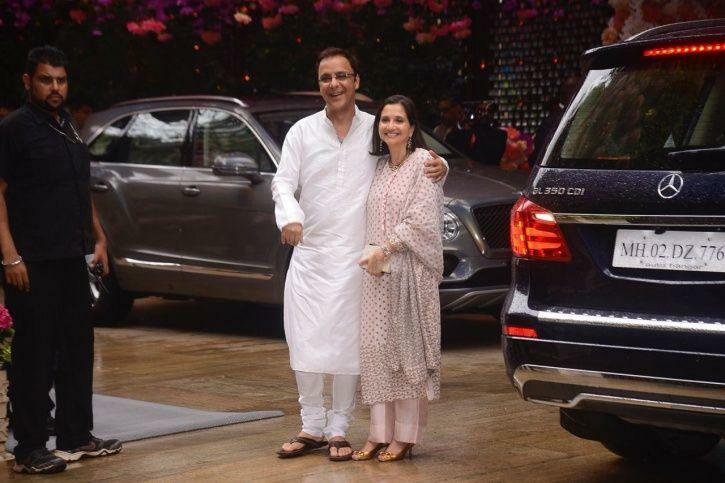 Vidhu Vinod Chopra arrived with wife Anupama Chopra. Ranbir Kapoor came with his best friend and director Ayaan Mukherjee, flaunting their bond. Needless to say, this wedding is going to be a mammoth star-studded affair with the biggest stars of the country landing up in the engagement functions looking their best.